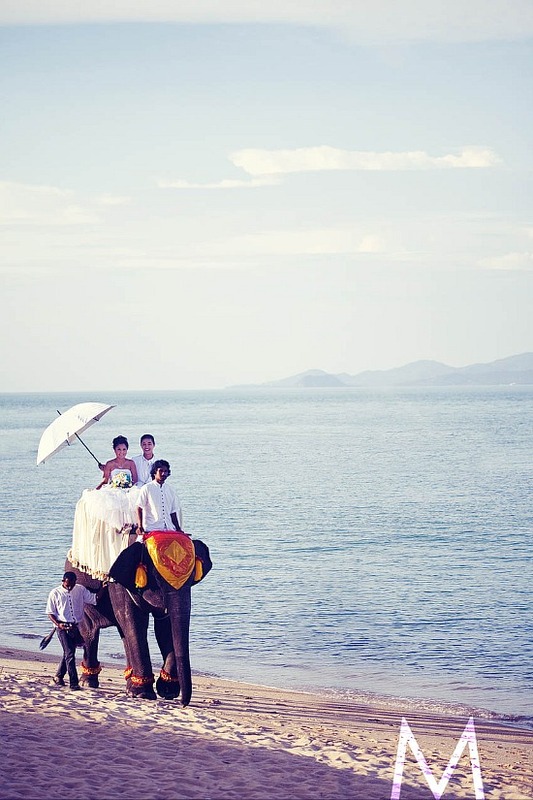 I have a spectacular destination wedding in Thailand for you today. And, the bride and groom had the most amazing transportation for arrival to their ceremony in BIG style . . . by elephant. 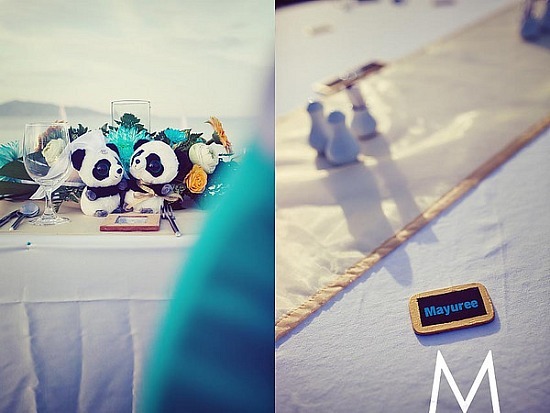 The wedding of Kenny and Nikko was set in the charming and intricate Mercure Hotel along Maenam Beach in Koh Samui and photographed by Metro Photo. 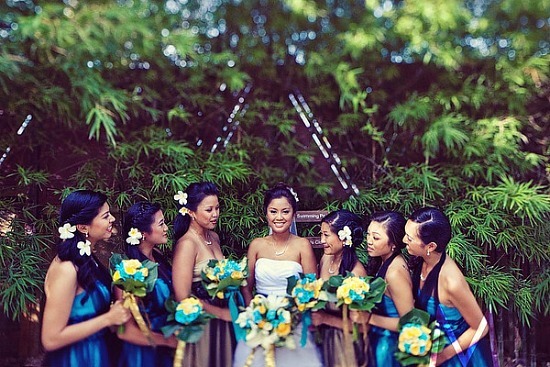 Below is Nikko’s intricate traditional Thai gown that she wore after the beach ceremony. Both Kenny and Nikko changed into their Thai outfits and had a traditional water ceremony. 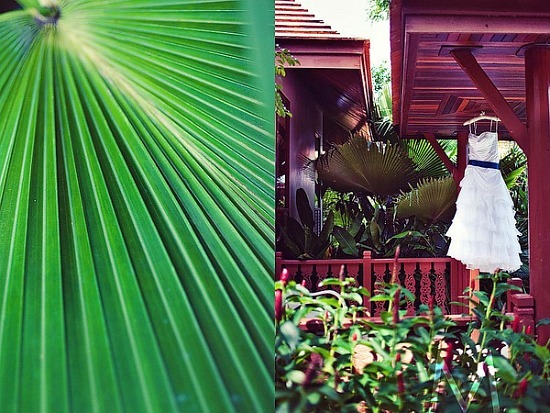 Thank you to Kenny for sharing today's spectacular Thailand destination wedding with my readers. To see more from Metro Photo, please visit their web site. And, to see more of Kenny and Nikko's wedding, please click here.